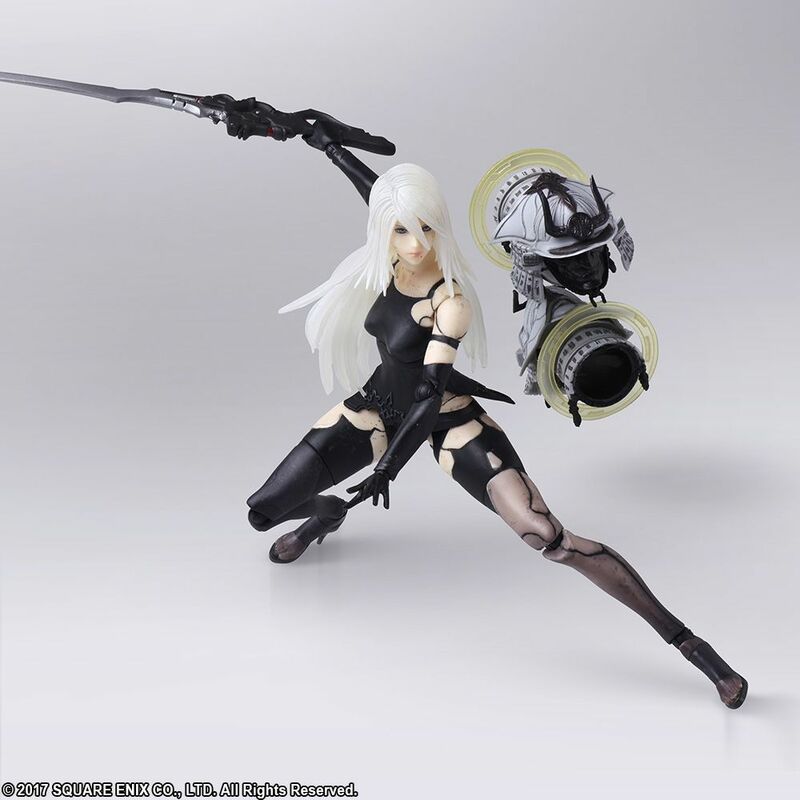 Straight out of NieR: Automata, the game that brought to life the battle between the Androids and the Machines, prototype model YoRHa Type A No.2 (commonly known as A2) is now available as a Bring Arts figure. This figure strikes a perfect balance between mobility and structural beauty by utilizing flexible parts in various locations. 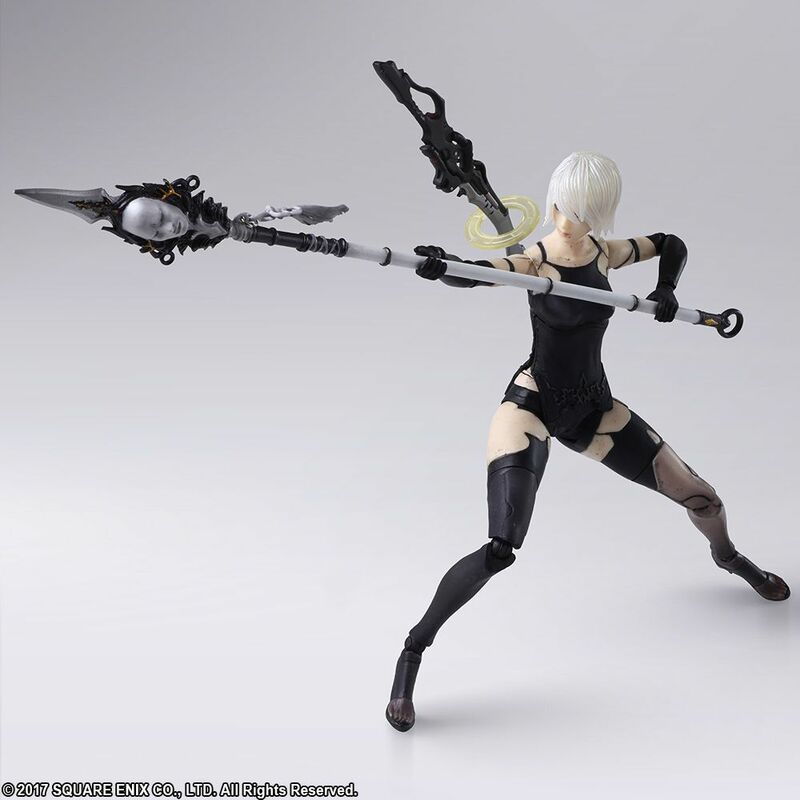 Weathering has been applied to multiple parts of her body, and the discoloration of her leg is recreated by a subtle gradation. 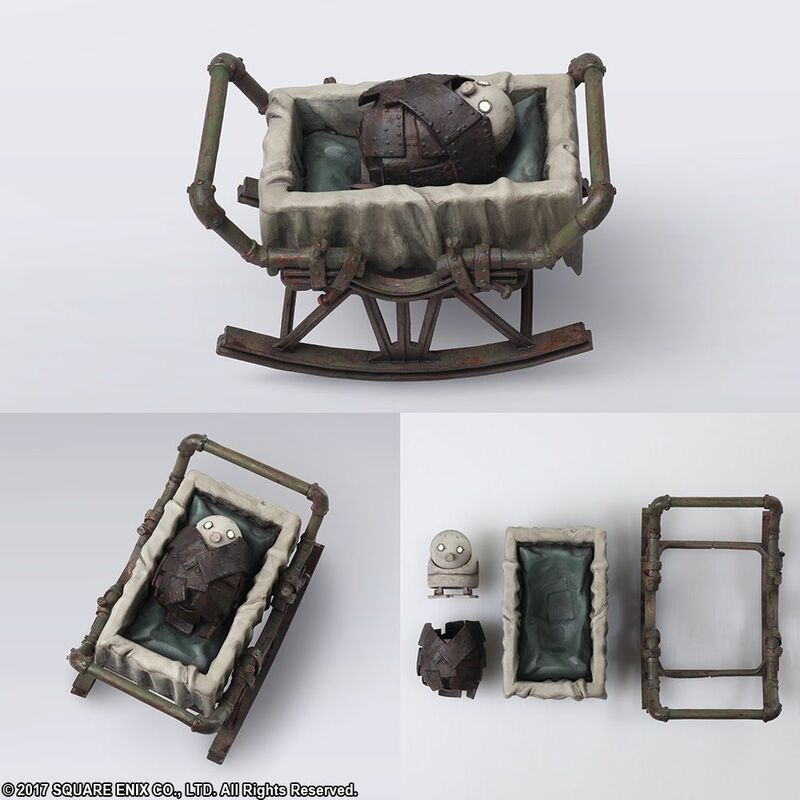 The figure comes with long and short hairstyles, three mountable weapons—Virtuous Grief, Virtuous Dignity and Type-4O Sword—as well as the memorable Forest King in his baby carriage. Rust and grime have been applied to the Forest King to match the look and feel of the Machines, and his covering can also be taken off. 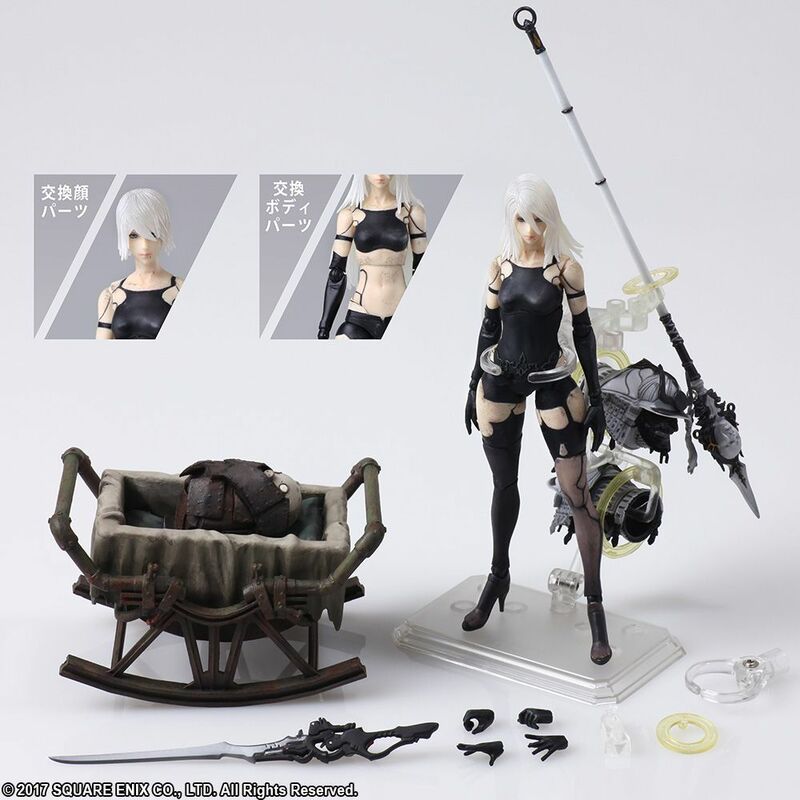 All these incredible details truly bring the world of NieR: Automata to life.